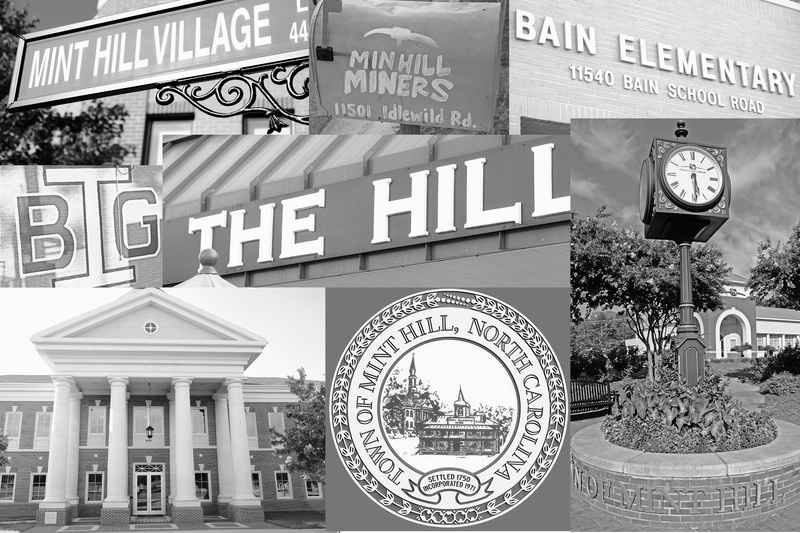 Mint Hill is loaded with great schools, great businesses, and most importantly great people. Here are just some of the highlights of what makes Mint Hill such a great community to live in. 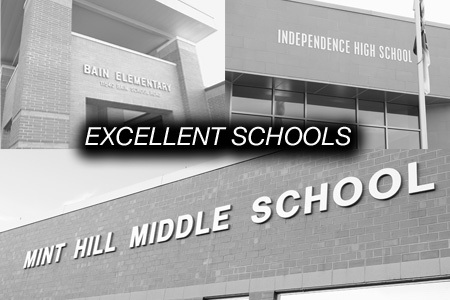 Mint Hill offers a range of great school options, Bain Elementary and Mint Hill Middle School are rated 10 out of 10 and 9 of out 10 respectively by Greatschools.org. In addition to the excellent public schools in Mint Hill they also have Queens Grant Community School. Queens Grant is a K-12 charter school that has an excellent reputation as well. Mint Hill provides you with the peace of mind that you kids are being prepared for the future and given a excellent education. The benefits of great schools are obvious for parents, however it shouldn’t be overlooked even if you don’t have children because it can have a major impact on your home’s value. 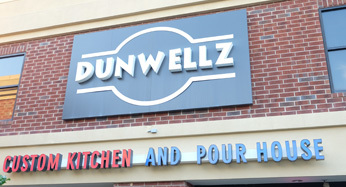 If you are looking for great local food or a place to hang out with friends and grab a relaxing drink after a long day of work, places like Dunwellz Custom Kitchen and Pour House or The Hill Bar and Grill may be just what you are looking for. On a hot day you can always cool off with ice-cream from the Carolina Creamery, or a flavorful snow cone at Pelican’s SnoBalls of Mint Hill. 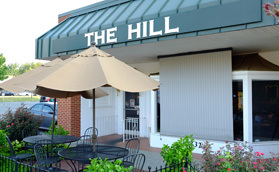 In addition to all of the great local options Mint Hill is filled with all of your favorite chain restaurants including Showmars, Zaxby’s, Chick-fil-a, Bojangles, and much more. 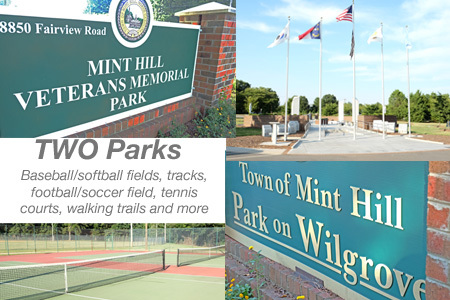 Mint Hill has two public parks for your for your enjoyment that include tennis courts, baseball/softball fields, tracks, walking/jogging trails and a more.